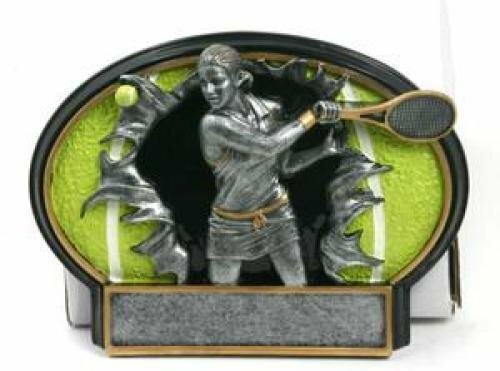 Tennis trophies, medals and plaques are used to celebrate and commemorate a fun tennis season. This category has a great selection of tennis awards as well. 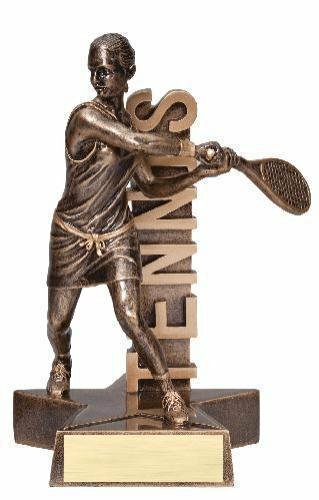 Whether you need an economy tennis trophy or a more elaborate tennis award, you are sure to find the perfect tennis trophy here. FREE shipping on orders over $100. FREE Engraving. 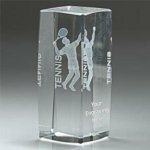 The Radiant Tennis Trophy is a resin award with stars and a great deal of character. This resin trophy includes a brushed gold plate with up to 3 lines of black engraved letters. 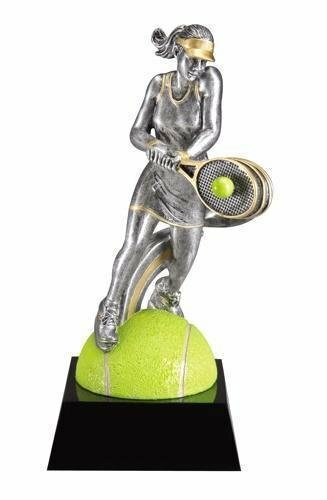 The Burst Thru Tennis Trophy (Female) is a popular choice. 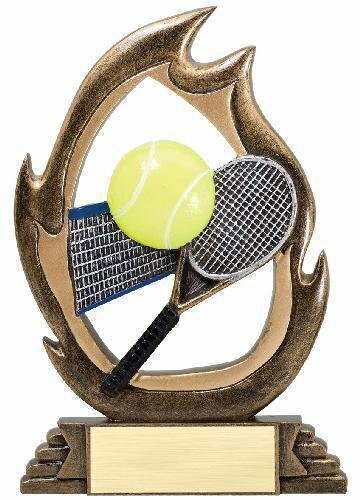 This tennis trophy can stand alone or be hung on the wall. The resin trophy includes a brushed silver plastic plate with up to 3 lines of black laser engraved letters. 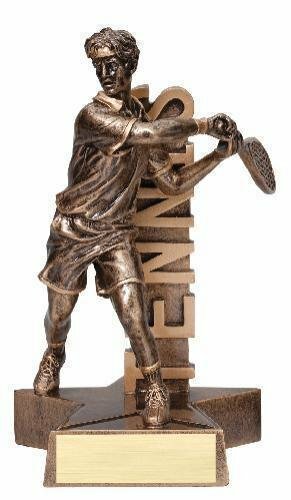 The Burst Thru Tennis Trophy (Male) is a popular choice. 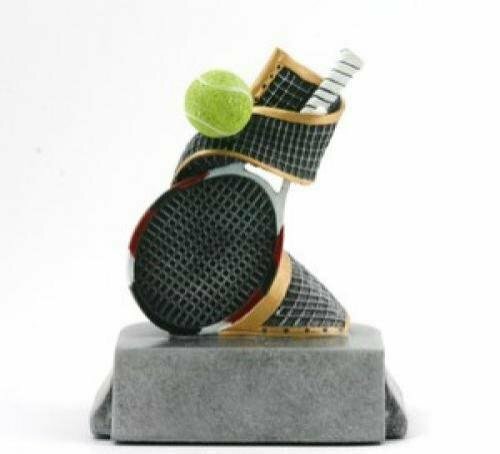 This tennis trophy can stand alone or be hung on the wall. The resin trophy includes a brushed silver plastic plate with up to 3 lines of black laser engraved letters. 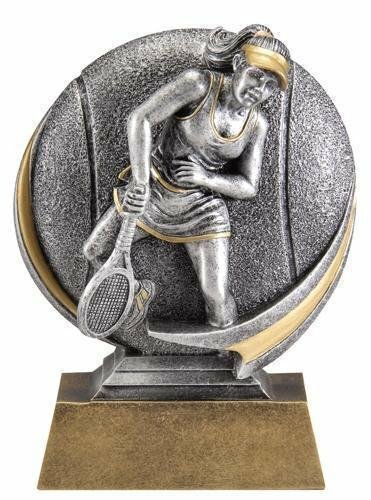 This Action Tennis Trophy (Female) has a very upbeat design. 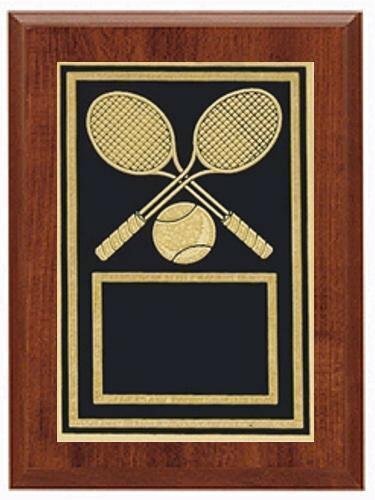 The tennis award comes with a brushed gold laser engraved plate. 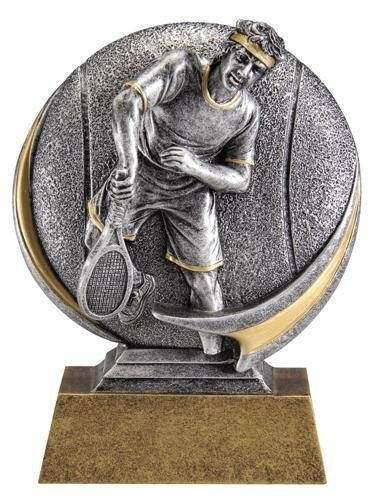 This Action Tennis Trophy (Male) has a very upbeat design. 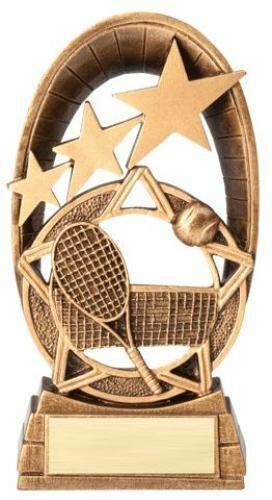 The tennis award comes with a brushed gold laser engraved plate. This Action Track Trophy (Female) has a very upbeat design. The track award comes with a brushed gold laser engraved plate. 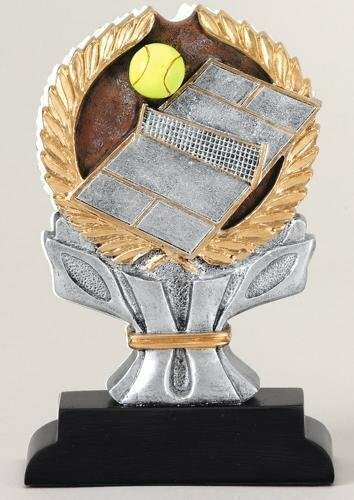 This Billboard Tennis Trophy (Female) is mounted on a star base. The tennis award comes with a brushed gold laser engraved plate. 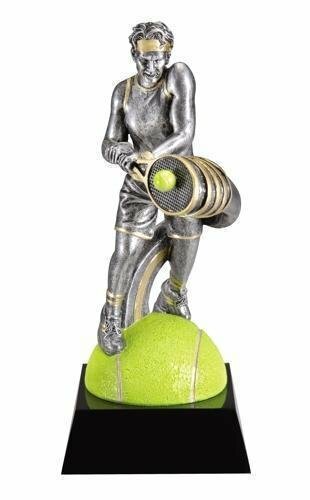 This Billboard Tennis Trophy (Male) is mounted on a star base. The tennis award comes with a brushed gold laser engraved plate. 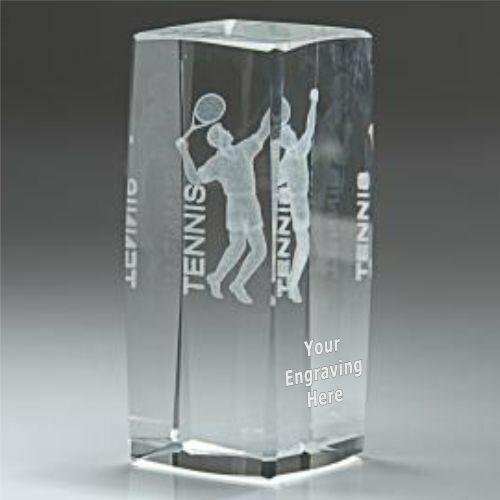 The Flame Tennis Trophy is a unique resin award. 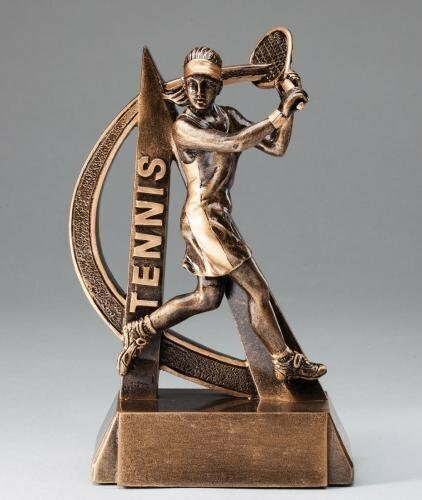 These tennis trophies have an antique gold finish. The tennis award comes with a brushed gold laser engraved plastic plate. 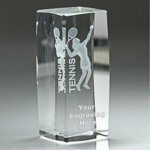 All tennis awards include free engraving. 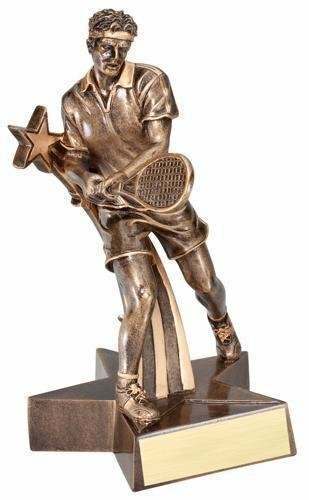 This Stars Tennis Trophy has a very upbeat design. 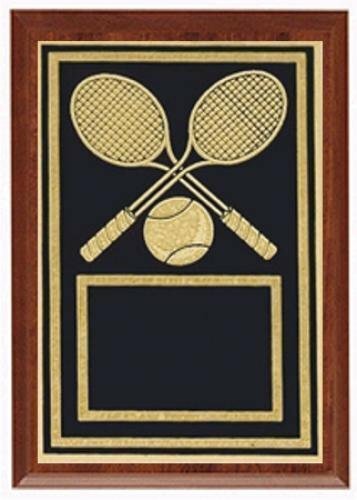 The tennis award comes with a brushed gold laser engraved plate. 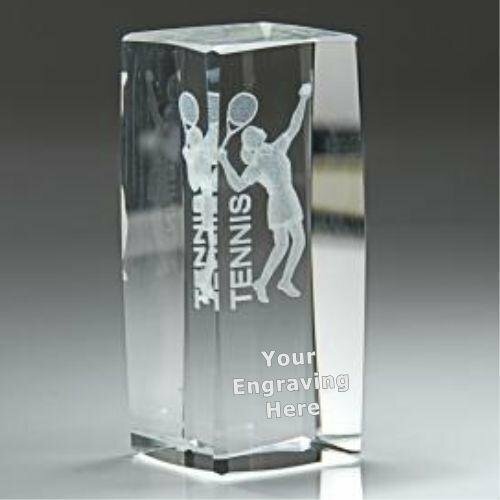 The 3D Motion resin tennis trophy has a brushed gold laser engraved plate with black letters. 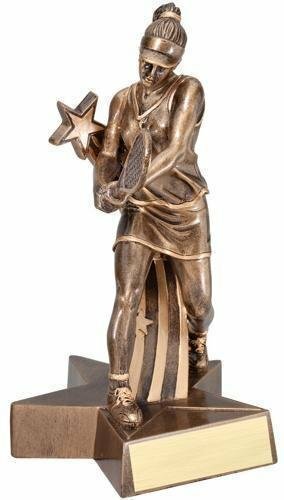 This female tennis award is an inexpensive trophy with great character. 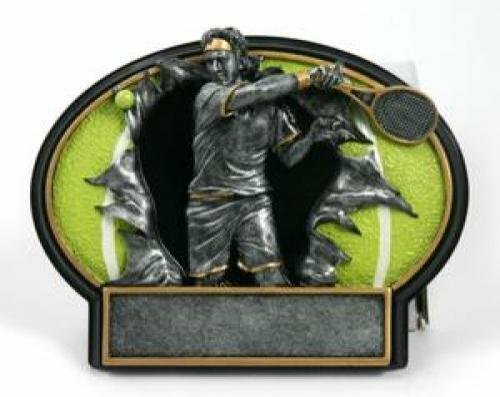 The 3D Motion resin tennis trophy has a brushed gold laser engraved plate with black letters. 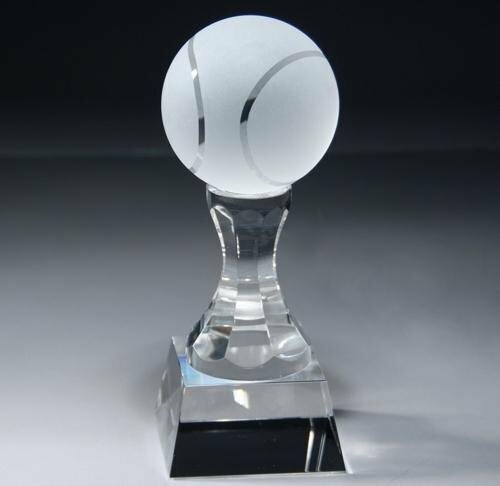 This male tennis award is an inexpensive trophy with great character. The Tennis Impact Award includes a brushed silver plastic plate with up to 3 lines of black laser engraved letters. The Tennis Super Star resin has an antique gold finish. The trophy includes a brushed gold plate with up to 3 lines of black engraved letters. 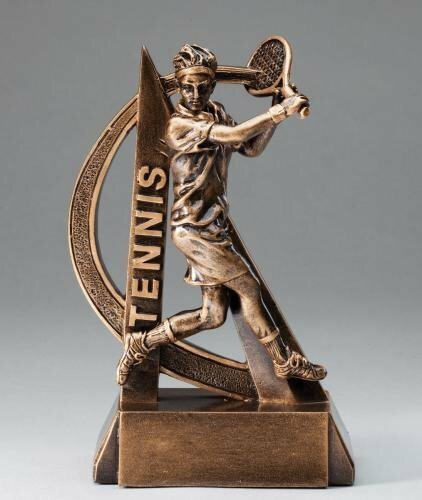 The Ultra Action Tennis Trophy resin has an antique gold finish. The trophy includes a brushed gold plate with up to 3 lines of black engraved letters. 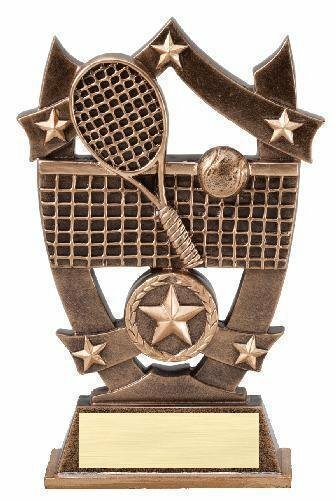 This tennis award is an inexpensive trophy with great character.